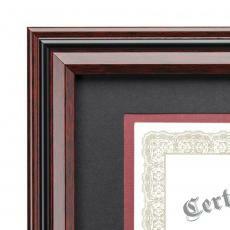 Proudly display certificates, awards, degrees, and more in beautiful diploma frames from Awards.com. 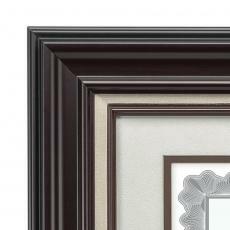 Our broad selection includes diverse colors, designs, and models to perfectly complement the décor of a home or office. 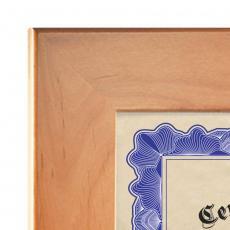 Hard works deserves to be recognized. 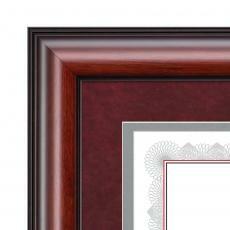 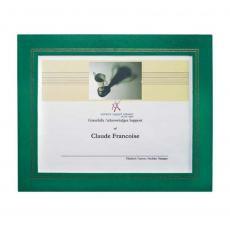 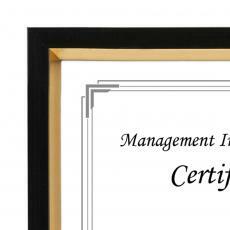 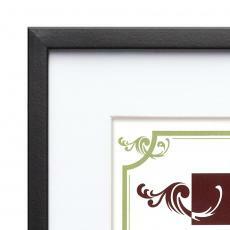 It's easy to elegantly showcase significant milestones in certificate frames and graduate frames from Awards.com. 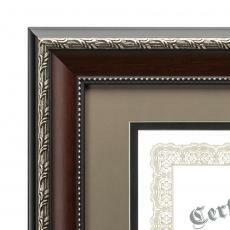 Made from high-quality materials and built with expert craftsmanship, you've come to the right place to find degree frame designs that impress. 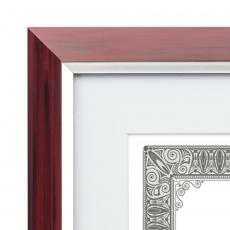 Choose from materials including a variety of finished woods, laminate, glass, and metal. 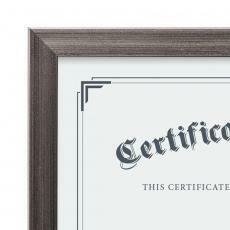 You can match your frame to the lettering in the certificate, or based on the type of interior design that will surround the certificate. 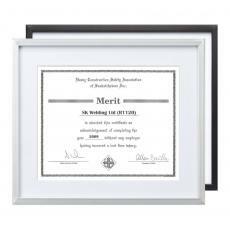 Choose from flatter or thicker designs, and use these diploma frames or certificate frames to present horizontal or vertical certificates and awards. 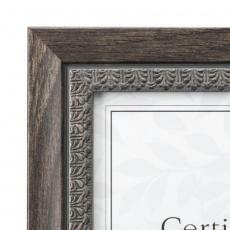 Frames are great to use when awards are presented in a work environment, at school, at fundraisers, and at so many more occasions. 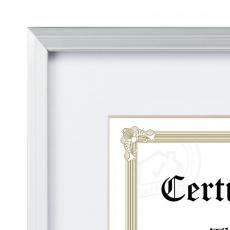 They give the recipient something sturdy to hold their award in, and an attractive frame may make the recipient more likely to display the award. 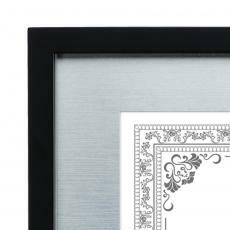 When employees see the award hanging in the office, they'll come to associate the beauty of these frames with a positive sentiment of your business. 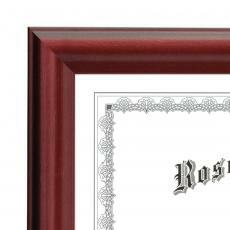 Browse our diverse selection of award and graduation frames below. 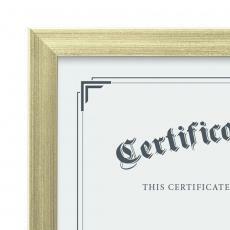 Have questions about a diploma frame or another award item? 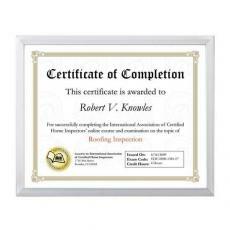 Contact us here to talk with one of our friendly representatives. 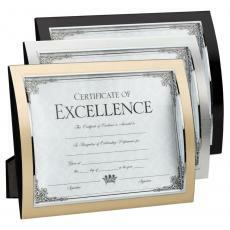 $96 - $120| Sizes: 8"x10" & 9"x12"